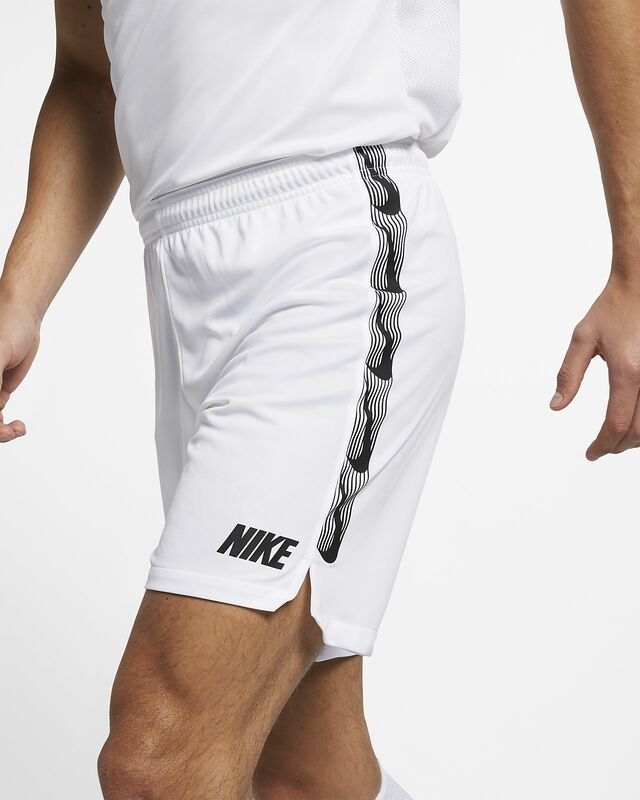 The Nike Dri-FIT Squad Shorts match sweat-wicking fabric with an elastic waistband that has gripping material to keep it in place. With that, you're ready from the kickabout to the training pitch. SWEAT-WICKING COVERAGE THAT STAYS IN PLACE. The Nike Dri-FIT Squad Shorts match sweat-wicking fabric with an elastic waistband that has gripping material to keep it in place. With that, you&apos;re ready from the kickabout to the training pitch. Waistband with gripping material and drawcord provide a snug fit. Have your say. Be the first to review the Nike Dri-FIT Squad.